Chris Evans promises Civil War is still primarily about Captain America. Julianne Moore could be joining Kingsman 2. Astro Boy is heading back to the big screen. Plus, Djimon Hounsou joins Wayward Pines, and get a look at another comic book villain heading to Supergirl. Spoilers now! Even though there are a lot characters, the focus is on Steve and his struggle. Especially his struggle with Tony Stark. It’s exciting to see a guy who’s as optimistic and as selfless as Steve be met with letdown, betrayal, frustration, and selfishness. There are events and people in his life that test him — that challenge him and force him to reevaluate who he is and what he wants out of life. He’s extraordinary. Quite extraordinary. And Zack Snyder, the director, fantastic vision. And I think the public have a great treat in store. In an extensive interview with Full.Music.Media (which you can see in its entirety below), Harry Gregson-Williams has confirmed that he will score the movie. The Hollywood Reporter is reporting that Julianne Moore is close to joining the film, purportedly as the main villain of the sequel. Here’s a quartet of new character posters for the movie. A new series of images have cropped up online (via a Daredevil fan tumblr) of what appear to be new promo pictures of Daredevil, Elektra, and Frank Castle. 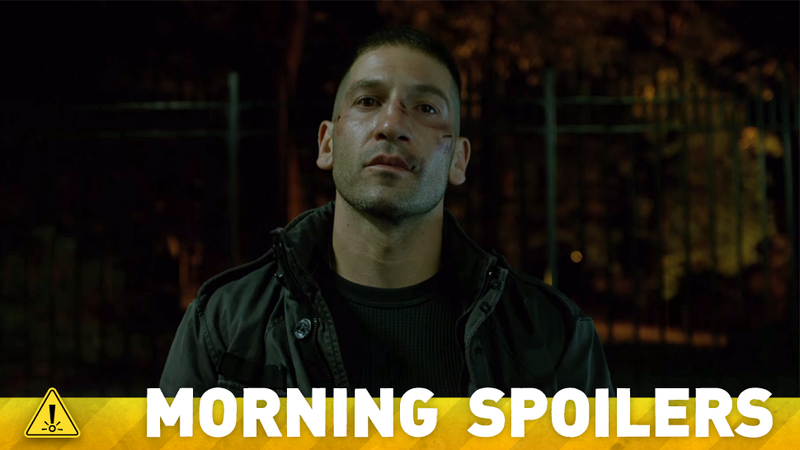 The images, if legitimate, give us our first look at the show’s adaptation of the Elektra costume, and what appears to be the ultimate look of Jon Bernthal’s Punisher—seemingly complete with the leather jacket (and much more difficult to see in the image) iconic skull shirt the character wears in the comics. Carlos Valdes has confirmed that his appearance on the show will take place in tonight’s episode. Here’s a new character poster of Luke released by the Jessica Jones twitter account. Finally, you can get a good look at the show’s take on the comics character Master Jailer in a new promo and image provided to Comicbook.com for next week’s episode, “Truth, Justice, and the American Way”.